After I wrote that article about bitcoins, I got the mania! 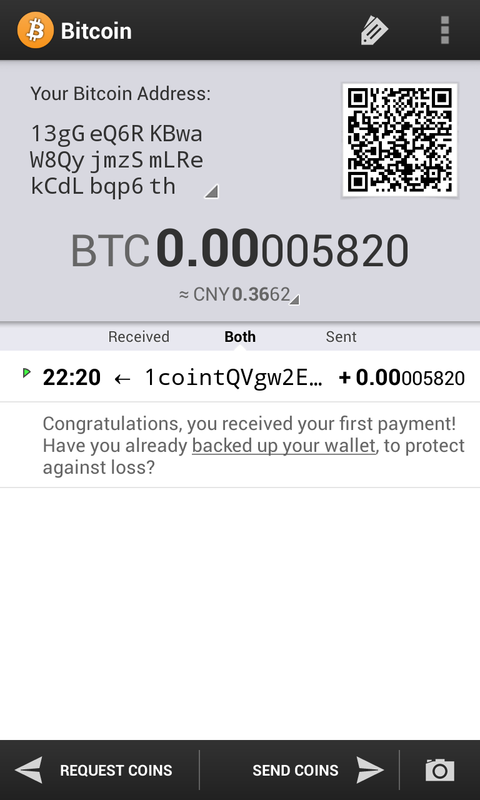 I opened an account using the Android app: since it’s decentralized, you can do it by yourself without giving any personal data to anyone. I then earned those few cents on Land of Bitcoin, a portal where, clicking like a maniac on suggested sites, you can earn “satoshis”, the minimum bitcoin amount. I made something like… 6 cents, without any doubt I would have done more money in less time if I went in downtown begging tourists for money, but it was still useful to understand how the system is working. For example, the minimum transaction on the bitcoin network is 5540 satoshi, and, since everything is decentralized, you have to pay a fee with you transfer coins. Those extra bitcoins will go to pay the “miners” that made the calculations to make it. You can even decide to apply an extra fee to transfer the balance more quickly. Another way that it’s used to quickly transfer bitcoins in small quantities and without commission it’s a Coinbase account. In this case it works like PayPal, the bitcoins aren’t actually transfered, but are kept “internal” to the website. Next Next post: Scared me!